We Are Monroe in Montreal or Quebec City? 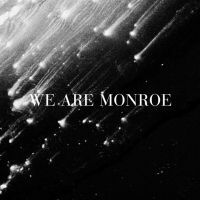 Inform me about the next events for We Are Monroe. Enroll yourself to our priority waiting list for We Are Monroe to be alerted when new tickets are available. Filling this form doesn't engage you to any purchase. We are Monroe is trying to get known on the Montreal scene. They are playing the dives to get a good fan base. Punk alternative musical group, come and see them live at the Petit Campus in May 2015.